Located on Pycrofts Garden and less than a minute away from Khader Nawaz Khan Road, this new multi-sports centre is sure to be the new hub for sport enthusiasts in the city! Describing itself as an urban sports hub, you know what they mean when you walk into Whistle, Nungambakkam’s latest sports hub. Grand, and bigger than any other sports complex in the city, there is a Futsal court which is huge! The indoor arena has three spaces with two regular badminton courts and the other is in an air-conditioned area. All three courts will be open to the public in the next couple of weeks and are all multi-purpose spaces as well. Other than badminton sessions, you will see other fitness related classes also happening here. Yoga, Zumba and Pilates are only few of them which will be on offer here. 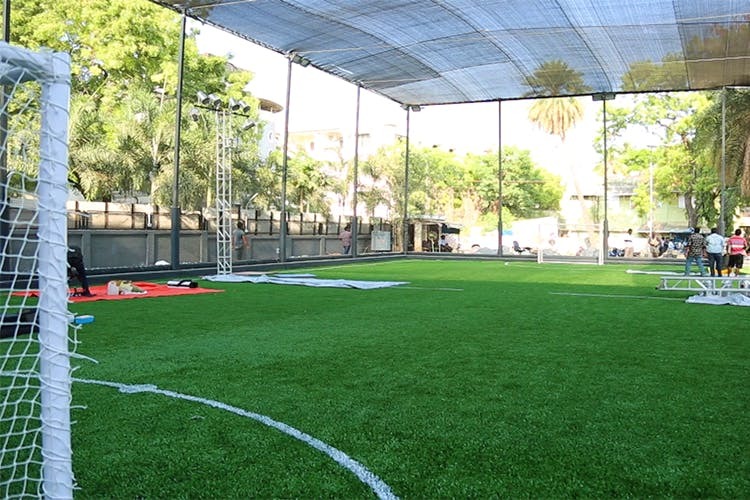 The Futsal court outside will also be used for gully cricket, so there really is something for every one here! Don’t worry, they’ll be out with more details and even discounts too… so keep your eyes peeled!